The use of social networking, blogs, newsletters, and mobile apps are common marketing tools businesses deploy to expand their web presence to existing and potential customers. With so many great communication tools available for publishing content to promote your products and brand (e.g. Facebook, Twitter, etc. ), it is easy to get carried away with delivering quantity and not quality messages to your customers. This case is also true when writing content for new sites. Writers can get carried away with filling the pages with ‘fluff’ and not defining and aligning their messages clearly with their marketing strategy and brand. This is why I want to bring your focus back to aligning your content with your marketing strategy and brand while thinking long term about increasing your bottom line through a marketing technique known as Content Marketing. 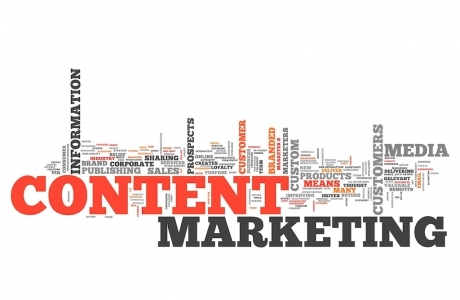 Content Marketing is ultimately the creation and sharing of content with your current and potential customers (target audience) with the objective to drive profitable customer action while creating brand loyalty and retaining reader attention. The key process involved in Content Marketing is to share content with the goal of educating the target audience so they feel empowered to make a more informed decision while recognizing your brand as an informative, knowledgeable resource. Often, your educational resources can include your products or services, but without the “I’m trying to sell you this” direct message. It is good content marketing that will make your target audience read, think, and react differently than they would to a typical sales pitch. What products and/or services are you offering? Who are your customers (target audience), both potential and existing? What does your brand stand for in the hearts and minds or your customers? How do you distinguish your company, products, and services from that of your competitors? What message do you want to communicate to your customers? How can you communicate with your customers in a meaningful and relevant manner? How can you distinguish your company’s message from your competitors? What information can I provide my customers that can help them make a more informed and educated decision? What do you want your customer to do or take away from the information once they access it? Now that you have a greater understanding of Content Marketing, go back and re-read your content. How could you have done things differently? How are you going to publish content going forward?